These monthly “What I’m Into” posts are some of my favorites. It’s a chance for me to reflect on what’s going on in my life and share some of my favorite things. So… here’s the latest! Midland – I’m a big fan of this band. They’ve got a cool retro 70’s sound that I really like. Their harmonies remind me a little bit of the Eagles. Someplace I saw their sound described as “California Country”. I’d say that’s pretty accurate. Their songs “Drinkin’ Problem” and “Check Cashin’ Country” are 2 of my favorites. Carhartt Shorts – I’m lucky enough to have a job where I can wear shorts if I want to… and I want to whenever I can. After all… you can’t see what I’m wearing through your radio. I recently found the perfect style/fit from Carhartt and have a couple pairs now. They’re comfortable and look great. I’ll probably be wearing them into October. Getting Organized – During the Summer we back off from our schedules and routines. Now that the kids are back in school I’m ready for some structure and organization. Crockpot Recipes – I’m ready for Fall and have started researching new recipes to try. 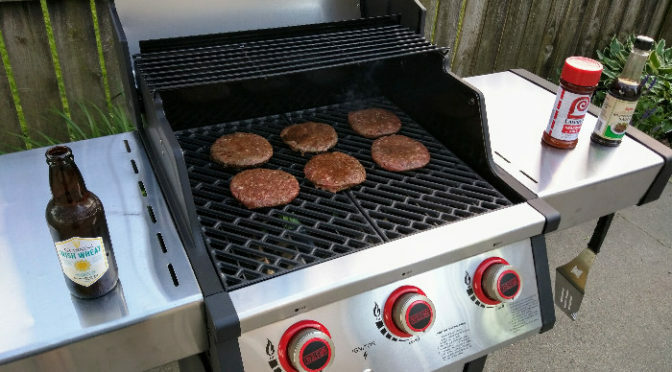 Grilling – Whether it’s for steaks, frozen pizza, quesadillas, or turkey burgers… I’m firing up the grill every chance I get.